In the depths of cyberspace lurks a press release written by the CDC, confirming that the OPV, or oral polio vaccination, given to millions of children throughout the developing world, is causing them to develop vaccine-induced polio. Instead of banning the vaccination, as one would expect, the CDC has decided in its wisdom that the best way to tackle the problem is to maintain a high rate of vaccination in all countries! In order for governments to mass vaccinate more efficiently, they are fully backing the Bill and Melinda Gates Foundation, a group that has made it very clear that their aim is to wipe out wild polio from the planet. The Gates Foundation appears to be ignorant of the fact that they are causing tens of thousands of children to suffer from vaccine-induced polio. While a large majority of us look on in sheer horror at the number of children who now suffer life-threatening disabilities caused by the vaccine itself, vaccine-crazed Bill Gates has decided to step up his polio campaign by hiring an array of Bollywood stars such as the notorious Bollywood mega-star Amitabh Bachchan to help him dish out the vaccination. It appears that Bachchan is not the only Bollywood star helping Gates to promote vaccination. According to reports, Bill Gates also met up with Bollywood superstar Khan Aamir. This is an excellent piece of PR work by Bill Gates, as the people of India are totally in love with Bollywood and believe that if stars such as these are recommending their children to be vaccinated, then the vaccine must be safe! In the meantime, the rates of vaccine-induced polio go through the roof. In 2010, the Polio Global Eradication Initiative, founded in 1988 by the World Health Organization, Rotary International, UNICEF, and the US CDC stated that there were only 42 cases of wild polio reported in India. This all sounds extremely impressive, until we learn that public health experts estimate that between 100 and 180 children in India develop vaccine-associated polio paralysis (VAPP) every year. Over the years, the figures have continued to increase and a recent paper has reported that the number of children now suffering from vaccine-induced polio has reached epic proportions. With numbers of this size being reported about vaccine-induced polio, you would think that someone, somewhere, would have tried to stop the devastation. 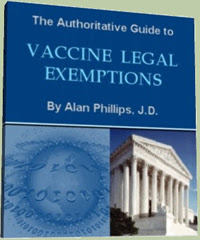 However, instead of stopping the vaccination program and trying to rein in Bill Gates, it appears that governments worldwide have given Gates the green light to do exactly what he wants. Many of the children affected with vaccine-induced polio will die as a result of their illness. This is not eradication of polio; this is eradication of the children of India, plain and simple. For eradication of a disease to be effective, you do not replace one disease for another; you must have disease-free, healthy children. In my opinion this is nothing more than another elaborate vaccination hoax and it needs to be stopped. This article originally appeared at VacTruth. 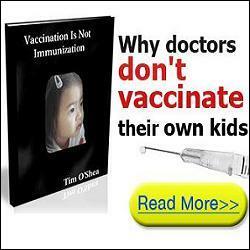 Be the first to comment on "Bill Gates’ Polio Vaccine Program Eradicates Children, Not Polio"